I've always felt sorry for the Leftovers, the heart-shaped boxes of chocolates still poised on shelves on February 17th, the jumbled rolls of wrapping paper whose designs were not deemed festive enough to be chosen in December, the stuffed bunny with a strange expression who did not find a place in a child's Easter basket. 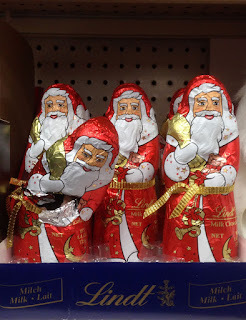 Now it is too late for this small platoon of chocolate Santas. 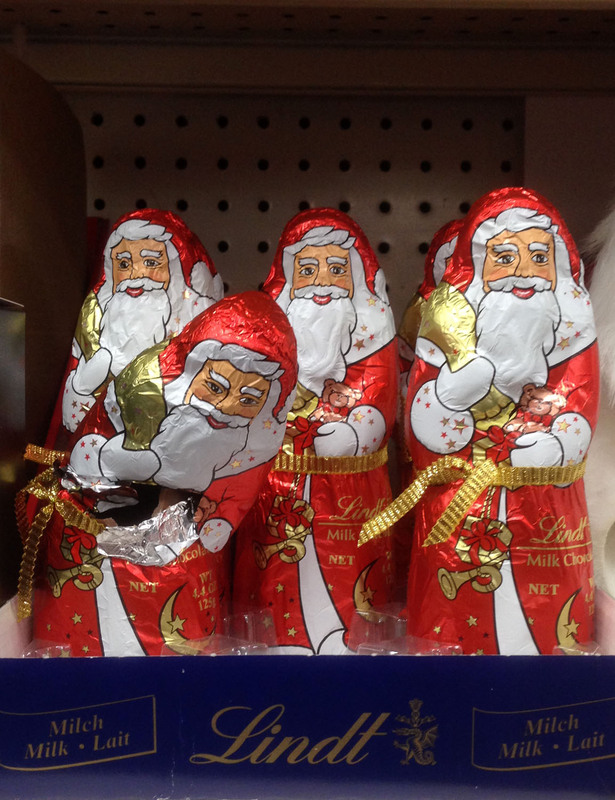 What went wrong/ They look so friendly with their gold foil packs slung over their red foil shoulders. Well, except for the one who has been dealt a death blow, possibly by the eager grasp of a small child whose mother's back was turned for a moment. Goodbye Santas. We will welcome your replacements next Christmas.